Fiat India’s decision to keep its present line up intact and launch new models of these cars seems to be working for the car maker. Though the car maker will be expanding its base in India and will be introducing its Jeep, Chrysler and Abarth brands but industry experts believe that an expansion of its portfolio from the existing Fiat Punto and Fiat Linea is needed. In an attempt to add something attractive to its existing two cars, the Italian car manufacturer will soon be launching the new Punto and new Linea. As per the reports, the car maker is all set to launch the cars with a revised price and it seems that it will be able to give a boost to its presence in the market. Meanwhile, the car giant had earlier in March inaugurated its first state-of-the-art stockyard at Ranjangaon, Pune. The 12 acre stockyard has the capacity to house approximately 2000 cars. This new stockyard will help it to better the supply process as soon as other cars such as the Jeep Wrangler and Jeer Cherokee are launched in India. Notably, Fiat is presently on to an independent journey after it severed its ties with Tata Motors and it is now developing its own distribution channel in the form of independent showroom. 120 such showrooms will be there by the end of this year. As far as the changes on the new Punto and Linea are concerned, the two will be more like their previous generation cars but will have many stylistic changes. In the absence of any official information about the changes on the new cars, experts believe that these two cars will have some sincere facelift as it will try to push Fiat car sales this year. Thus both the exteriors as well as interiors will have a makeover. 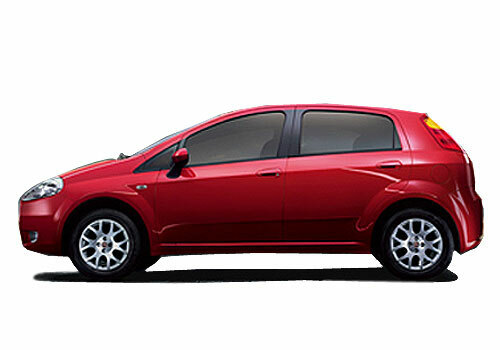 The 2014 model of Punto and Linea sedan will aim at luring youth and giving a push to sales.